How Commercial Awnings Can Add Value to Your Business Premises and Also Improve Your Bottom Line. Awnings that have been custom-designed for your business premises provide an easy way to update your commercial building, adding value as well as functionality. 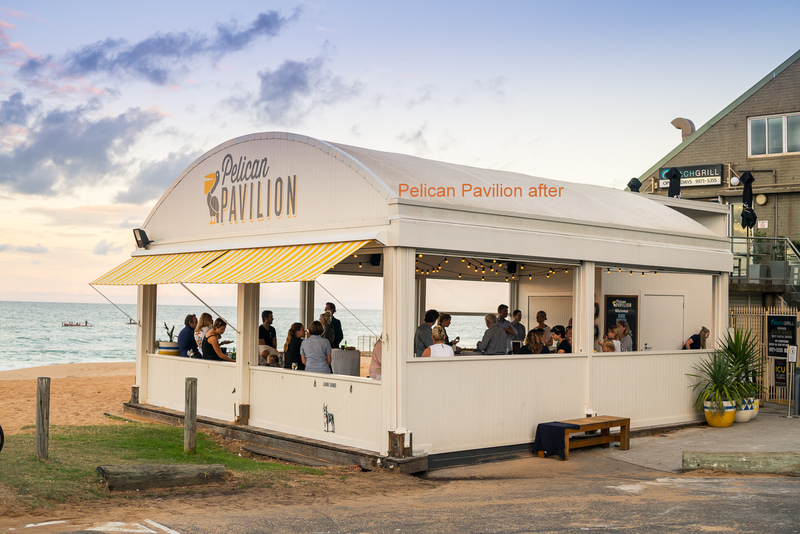 You can instantly transform your pub, restaurant, cafe, or any other hospitality oriented venture or retail space by simply installing an awning structure. What’s more, a new commercial awning is a smart investment which will ultimately pay for itself. Here are just a few ways an awning can add value to your commercial premises. Commercial awnings are without a doubt some of the best brand promotional structures for hospitality businesses. These shade structures can create a stunning new look for your business and increase street visibility. By having a beautiful, long-lasting awning installed onto your restaurant, pub or cafe, you can increase eye appeal and give your premises an appealing and sophisticated look that is sure to attract passing trade. Awnings also allow you to create a nice ambience with instant sophistication and convenience along with privacy, ensuring that customers maximally enjoy your location. If you own a pub, restaurant, cafe or other hospitality venture, you can have a stylish commercial awning custom designed to feature your company’s logo, motto, brand colours and other unique traits of your business. This will definitely grab the attention of potential customers and increase your exposure and highlight your brand with passers-by. A well-designed awning or canopy is actually one of the best attention grabbers you can have for any hospitality business, large or small. It’s usually highly visible, allowing you to really stand out from your competitors and inform your potential customers of your location, food items and brand image. Adding outdoor seating has been proven to boost revenue for hospitality businesses such as restaurants, pubs, hotels, bars and clubs. This is achieved in two ways: first, it allows for provision of additional seats, so the establishment can serve more customers at once. It also draws in new customers, particularly those that prefer to enjoy their meals outdoors. 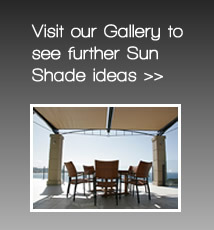 And what better way to expand your outdoor dining areas than with an awning. Installing an awning is probably the easiest and most cost-effective way of incorporating outdoor seating. 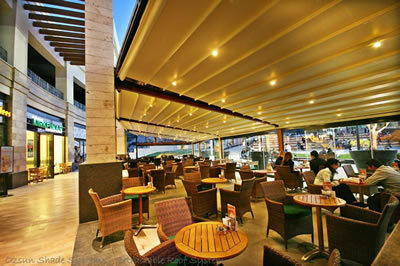 This is because commercial awnings are affordable and easy to install. By simply covering your deck, patio or other outdoor space, you can add valuable space for al fresco dining that is protected from the elements. With an expanded outdoor sitting areas and an attractive awning structure that creates a nice ambience, you will see a clear cut increase in traffic and ultimately sales. Customers are usually attracted to hospitality establishments with relaxing outdoor seating as it serves as a friendly invitation to sit a spell and share a meal or a drink with loved ones or friends. Covered seating consisting of a stylish awning is irresistibly inviting; and creating one will help you make the best impression to customers. When you utilize restaurant awnings to create protected dining at your establishment, you will likely see your sales go through the roof. Commercial awnings provide an excellent way to increase the overall market value of your business premises by enhancing the architectural beauty and style of your building. Combining functional excellence and aesthetic appeal, commercial awnings also protect windows, window treatments, interior furnishings and exterior features, furniture and entrances from the sun’s harmful UV rays. In addition, they can help create significant energy savings by providing a practical alternative to cooler temperatures in your premises.